Scientists try to solve epic puzzle: How does water move from planet's crust to its interior? 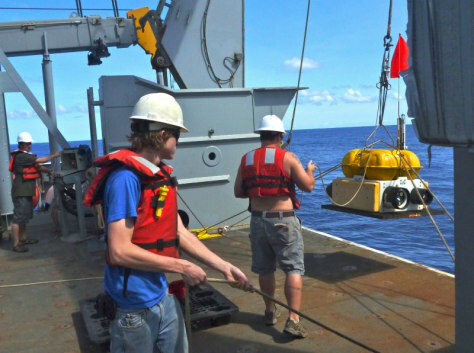 Researchers drop a seismograph off the side of a research ship to the ocean floor 18,000 feet below, near the Mariana Trench. The instrument will stay in place for a year, using rumbles from distant earthquakes to create a picture of the Earth's interior.